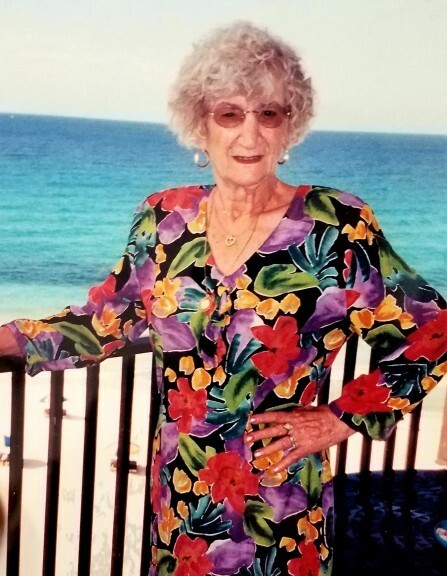 Jenny Tullo (nee Nonno), 95, passed away on September 2, 2018. Loving daughter of the late Nicola and Incornata Nonno. Beloved wife of the late Costantino Tullo. Loving mother of Patrick (Lorean) Tullo, Euphemia Tullo, Mary Tullo, and Rita (Steve) Most. Dear grandmother of Brian, Nikki, Jessica, Jennifer, Gabriella, Noah and the late April. Dear great grandmother of Julia, Izabella, and Adelaide. Caring sister of the late Agnese and Arturo (Agnese) Nonno and aunt of Mary Rutens and Nicholas Nonno. She is survived by many nieces, nephews and cousins. Mass of Christian Burial is Saturday, September 8 at 10 AM at Holy Trinity Church, 2420 Drex Ave, Norwood, OH 45212 where family and friends may visit one hour prior to services. Entombment Gate of Heaven Cemetery. In lieu of flowers family suggests contributions to Holy Trinity Church or Grace Hospice, 2100 Sherman Ave, #103, Norwood, Ohio 45212.